produced with taking into account the needs of the most demanding customers. 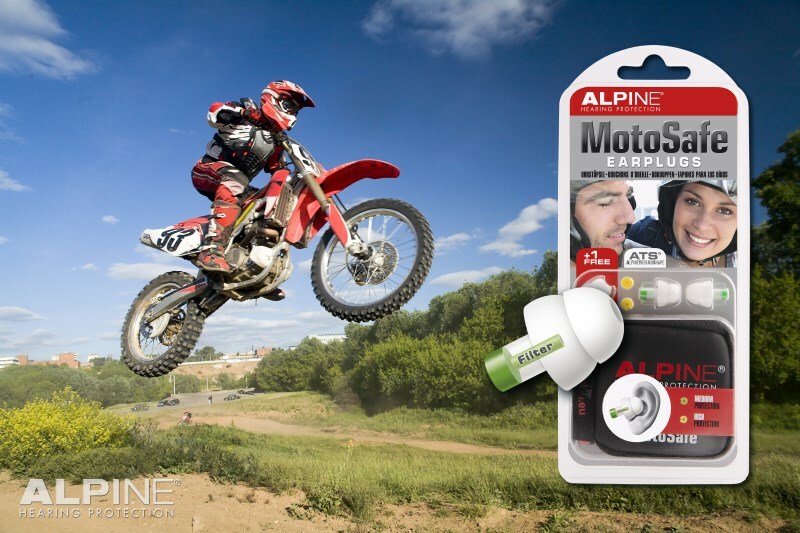 All Alpine plugs are made of a very flexible and durable thermoplastic material. Thanks to body heat, they adapt to the shape of the ear canal which is why they are very comfortable to wear. 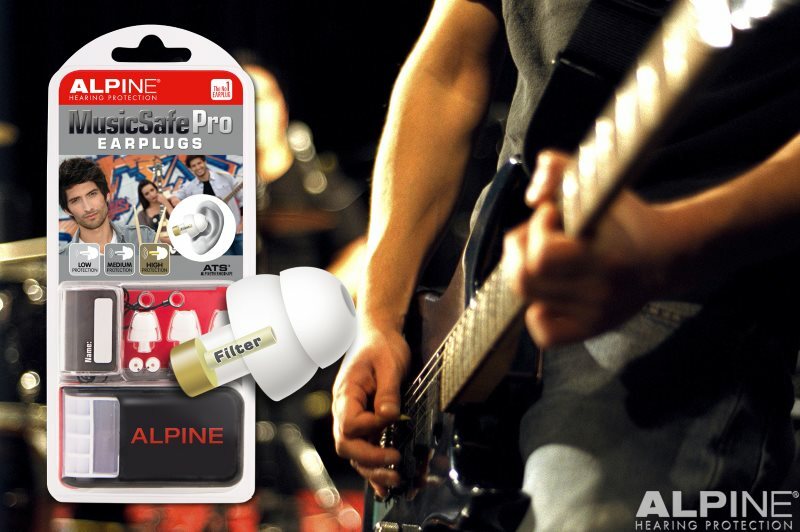 All Alpine plugs are supplied in a plastic case for storage and transport. Wearing FlyFit earplugs during flying regulates troublesome pressure on the eardrums during takeoff and landing. The filters operate like valves and ensure gradual and constant pressure equilibrium between the external environment and the middle ear. Thus, the Eustachian tube has sufficient time to acclimatise to pressure variations. 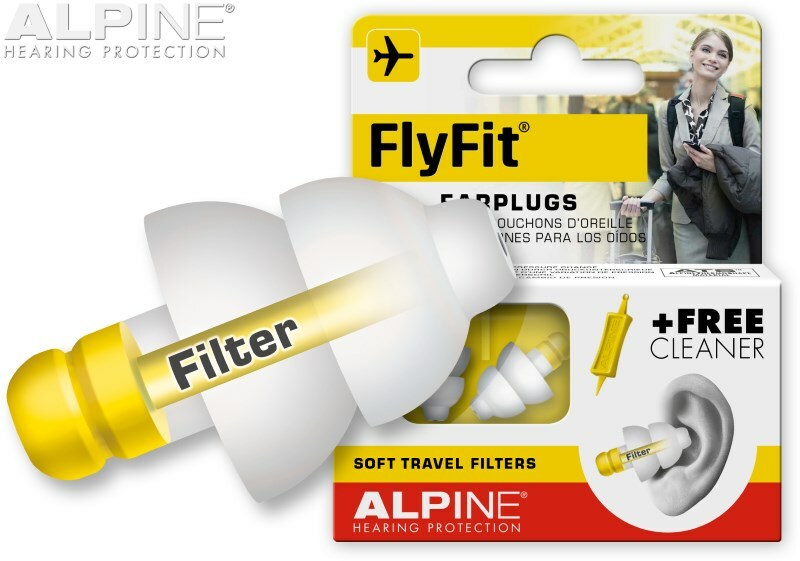 In addition, the special acoustic filters in FlyFit earplugs offer protection against annoying ambient noise. 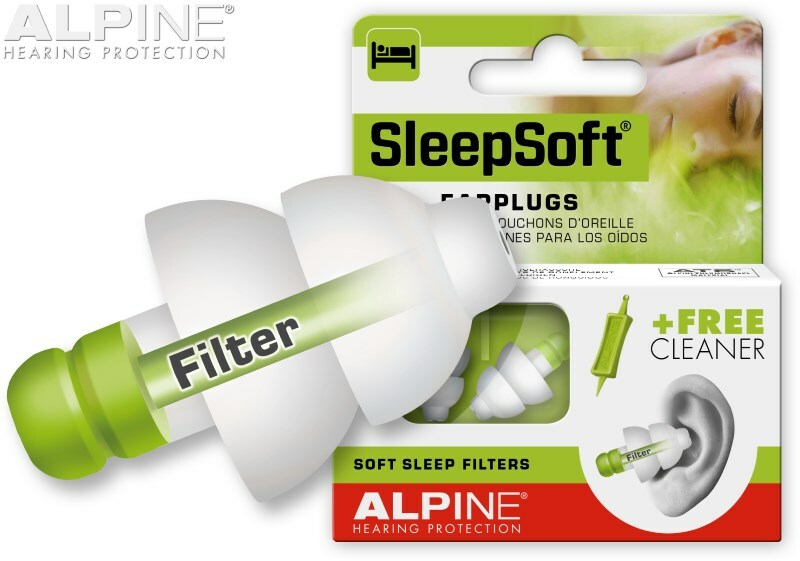 The earplugs facilitate rest and relaxation during long flights, but are also very suitable for using during bus, train and car journeys. WorkSafe earplugs fit very comfortably. They are made from AlpineThermoShape material, specially developed by Alpine, which adapts to the shape of the auditory ducts. Thus, they provide the perfect level of noise attenuation without a sense of pressure on your ears, or a feeling of isolation from everything that is happening at home. ATS material is hypoallergenic and contains no silicone. Thus, it will not cause itching or irritation while you work. 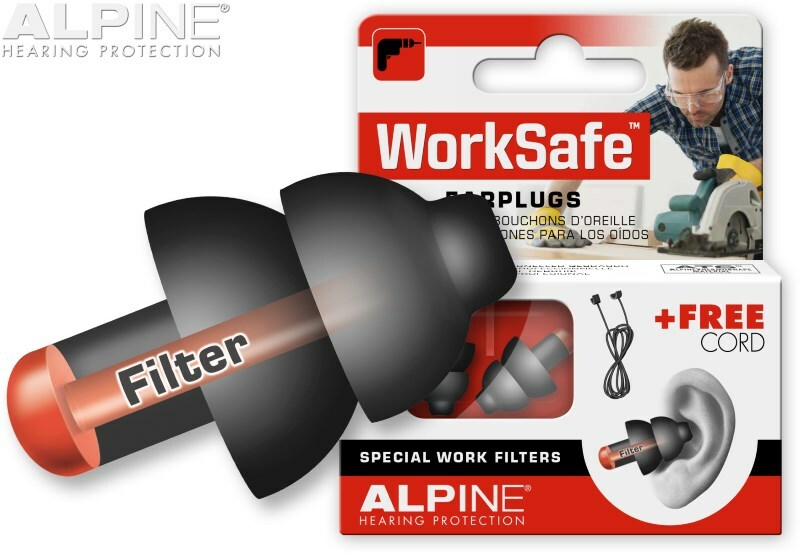 The special acoustic filters in WorkSafe earplugs provide extra noise attenuation that blocks all harmful noise generated by machinery. Noise is reduced to a safe level that is well tolerated for eight hours. 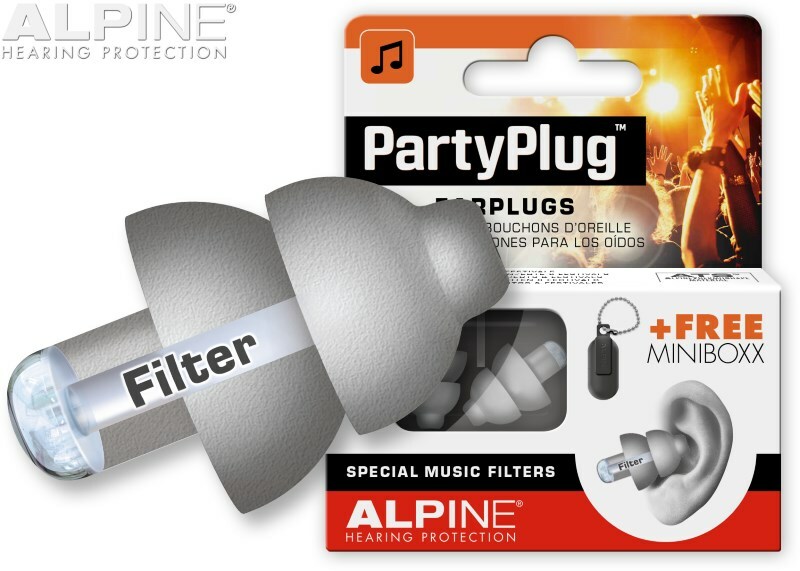 Thanks to the sophisticated AlpineAcousticFilters, you can still keep talking to your workmate. Alarm sounds also remain audible. 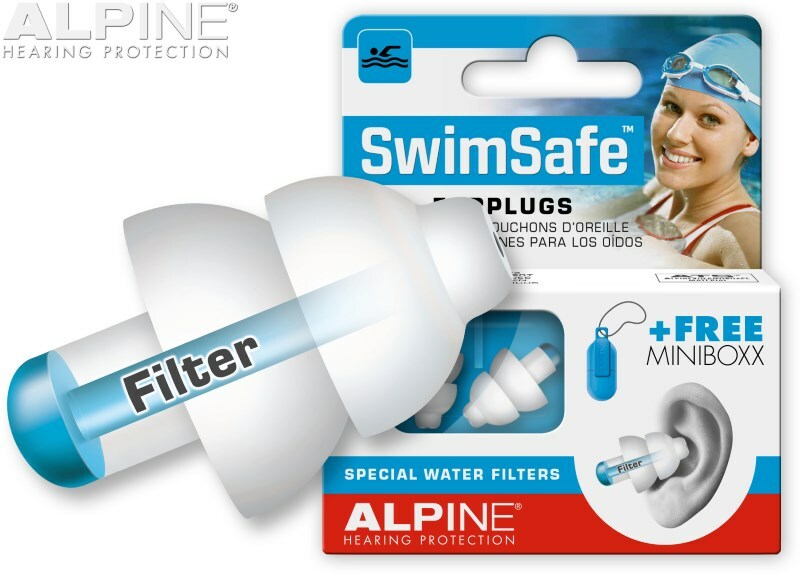 The special acoustic filters in SwimSafe earplugs ensure that all ambient sounds remain as audible as possible. These unique filters also ensure you can still follow conversations. A small duct in the filters prevents a sense of isolation and the shape of the hearing protection prevents water getting into your ears. Protects against ear infection and surfer’s/swimmer’s ear. They are also suitable for swimming with ear tubes. 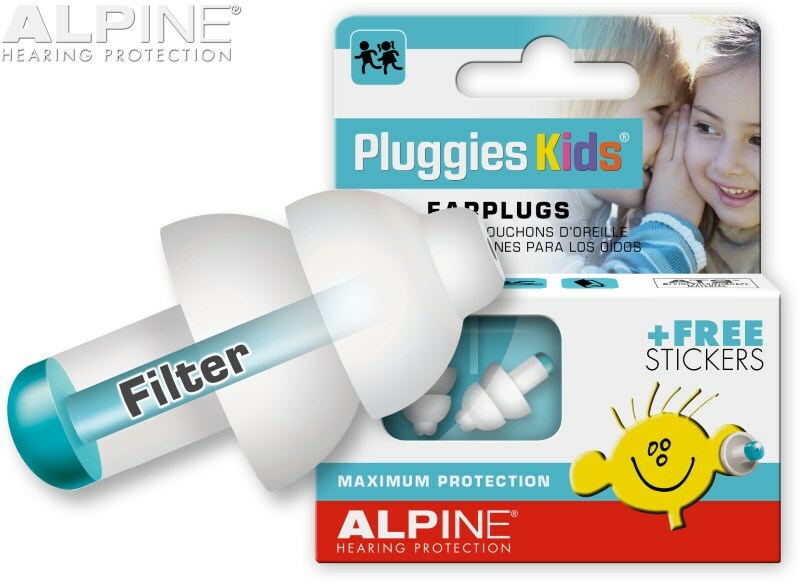 For example, to protect against excessively loud music at a festival, in the cinema, and in all other situations where kids or toddlers are troubled by excessive noise.Pluggies Kids earplugs also prevent water getting into the ears during swimming, showering, water sports and bathing.